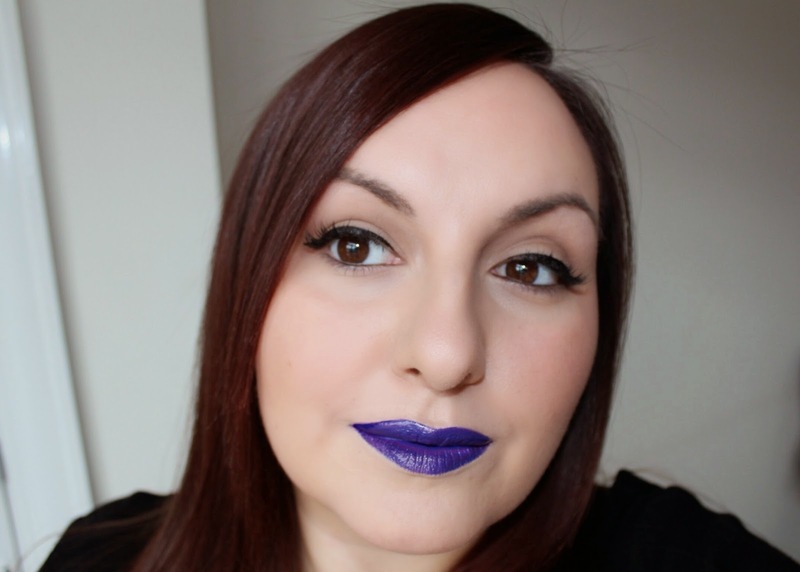 "Neutral make-up loving blogger in blue lip shocker!" - ha ha! I never expected to see myself with blue lips either, but it is Halloween week after all. When I was contacted by CutECOsmetics about their new range of glosses from Lunatick Cosmetics Labs, I decided to be brave a picked out one of the wilder colours from the collection! The Apocalipslick lipglosses are a collection of super intensely pigmented lip colours in a huge range of attention grabbing colours from full on reds and pinks, to this blue and black - there's even a super unusual greige sort of colour! The blue I have (which also leans a bit purple in some lights) is called Paranormal. I decided to team the lipgloss with some much safer options to make it a bit more 'me' - a nice neutral eye and lots of liquid liner. It suits me much more than I expected! The gloss itself is extremely, extremely pigmented - you literally need such a small amount on the wand to get good coverage. Apocalipslick goes on creamy and opaque, but it can be prone to feathering if you use too much, so less it more. I got a tiny bit of feathering on my bottom lip, so I neatened the edge with a fine brush and a smidge of concealer. CutECOsmetics stock the full range of Apocalipslicks for £6.99 each, as well as eyeshadow singles and palettes from Lunatick Cosmetic Labs - check out the palettes, they're shaped liked creepy little coffins! The other colours are amazing too! Wow, I think that you pull off the blue lips very well! On your skin tone, it actually looks "natural" (like you're actually the person wearing it, not the product wearing you).